My first principal helped to mold my beliefs about what matters when creating meaningful classroom environments. He had a disdain for pre-made signage and cluttered classrooms, which impacted the way I utilized the wall and clothesline space in my classroom. Not everyone’s administrator was like my first principal. As a consultant, I’ve talked with many teachers whose principals expect their classrooms to look PERFECT (Whatever that means!) on the first day of school. Before you get to the heart of this post, I have a disclaimer. I have been a Pinterest user since the site was in its infancy. I curate quotations, recipes, writing inspiration, and much more on my pinboards. I enjoy the visualness of Pinterest so I use it in tandem with Pocket. However, I try not to go down the rabbit hole of Pinterest since making all of the things I enjoy looking at on there would rob me of the time I spend with my family, exercising, and reading. 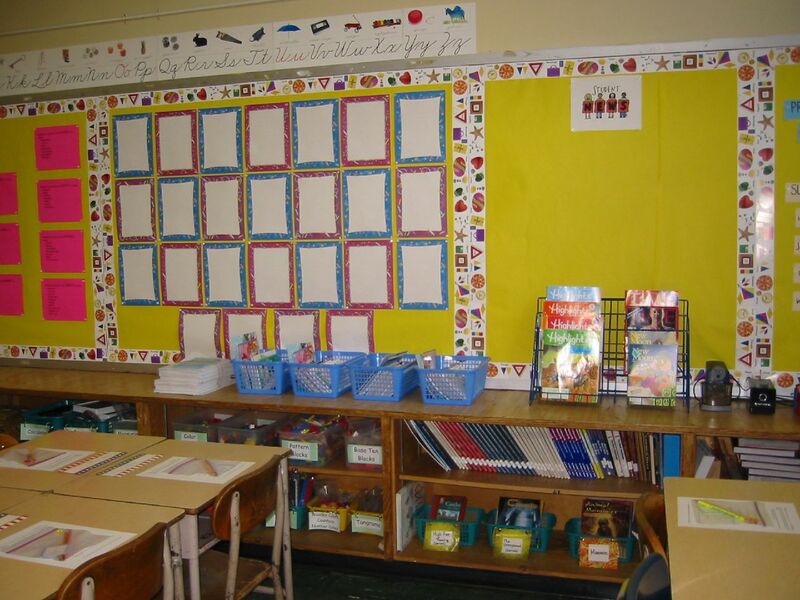 On the first day of school in 2005, most of my bulletin boards were blank. The center bulletin board provided each student with a space to display his/her writing. The bulletin board on the left was filled with synonyms, which was a waste of space since it wasn’t co-created with my students. Two empty bulletin boards are pictured on the right. I never taught in a Pinterest-worthy classroom, but my classrooms in both New York and Rhode Island worked for my students. Why? Because with each passing year I realized ample wall space for my students was crucial since it allowed them to see pieces of themselves on display throughout the classroom. 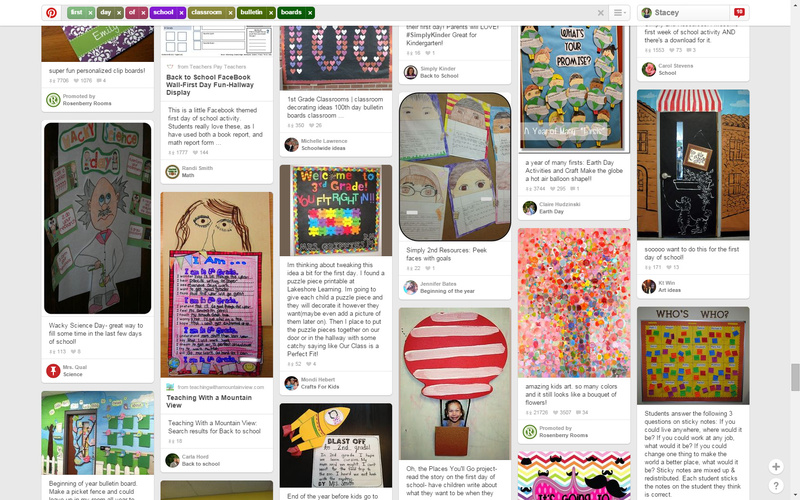 A sampling of first day of school ideas on Pinterest. Let’s talk about the “Pinterest-ization of Education.” (I’m unsure if I heard that term from someone else or made it up. Leave a comment and a link to the place where you’ve seen that term coined if you have, in fact, seen it before.) If you spend some time looking for “first day of school classroom ideas,” I guarantee you’ll start to feel like whatever you’re doing in your classroom isn’t enough. I’ve found classrooms that look as though they’ve had more hours spent decorating them than I’ve spent decorating on my entire home! If one enjoys decorating, then that’s great. All the power to you. But do you really want to spend hours decorating your classroom when you could be planning units of study, organizing your classroom library, perusing articles your PLN shares, or reading professional texts? (Sorry if that short list made you feel like there’s SO much do to before the school year begins!) If not, then I’m here to assuage your desire to decorate because it’s okay to start the school year with a decluttered, somewhat barren classroom, that can still feel welcoming to your students. 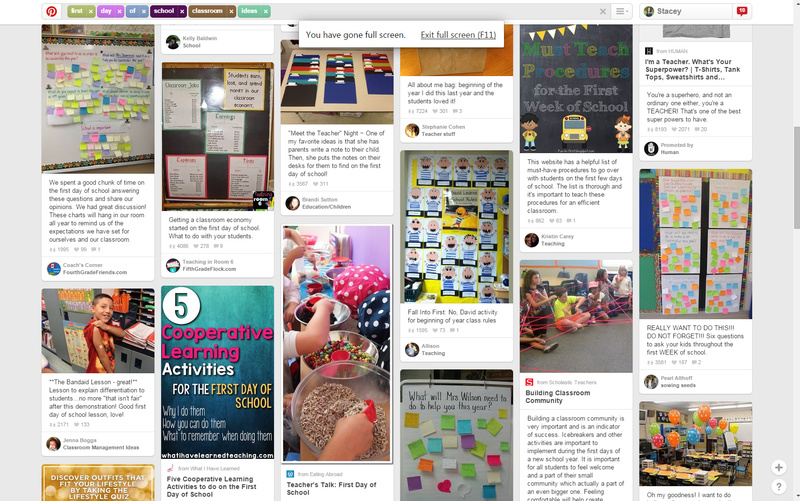 Ditch the Theme: Classroom themes are adorable, but are they worth the time? Instead of spending hours decorating your classroom around a theme (e.g., bees, jungle, monkeys, superheroes) consider an idea-based theme like Matt Gomez did. 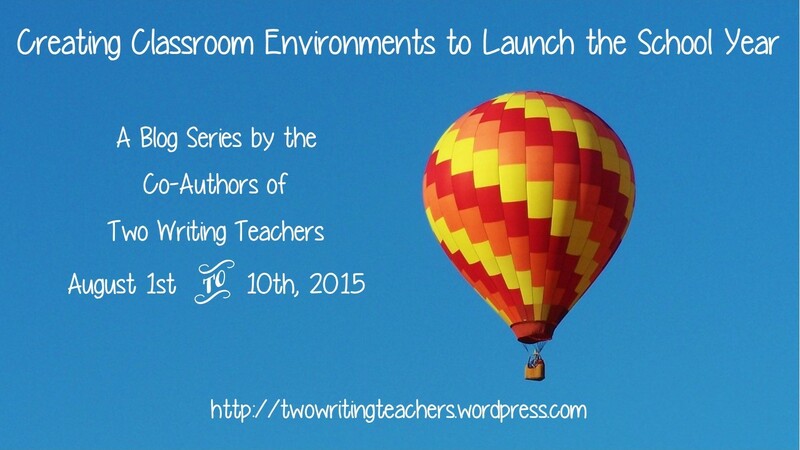 Classroom themes to build community will increase student engagement more than decorations will. Resist the Temptation to Decorate: I realize parents, fellow teachers, and your administrators will be coming into your classroom. I know many teachers decorate out of the fear they’ll be judged for having a spartan-looking classroom. If the idea of empty bulletin boards make you cringe, then post signs that say: “coming soon” or “work in progress.” Also, research Reggio Emilia and Waldorf classroom environments. Both tend to have a more austere approach to classroom decoration. Cover Your Bulletin Boards Simply: Buy plain fadeless paper and simple borders to cover your boards so they’re ready to receive student work. (Again, label them with “coming soon” or “work in progress” signs.) If you’re looking for a more durable, longer-term way to cover bulletin boards, consider using wallpaper or fabric. Create Permanent Displays: Spend your time creating a permanent display where you can feature your students’ work (e.g., published writing at the end of each unit of study). Once you set up these kinds of bulletin boards all you have to do is change out the work periodically. For instance, I set up a “Celebrity Writer Profile” bulletin board in the hallway at the beginning of one school year. Eventually, I removed the words “Celebrity Writer Profiles” and changed it to “Published Writing” so the bulletin board lasted all year. Employ a “Less is More” Mentality: Minimize student distractions by hanging up things that truly need to be on the walls. Only adorn the walls with things that will positively impact student learning (e.g., word walls, anchor charts). A “less is more” mindset will be especially helpful to students with attention deficits. On a related note: In addition, create spaces for classroom charts around the classroom. 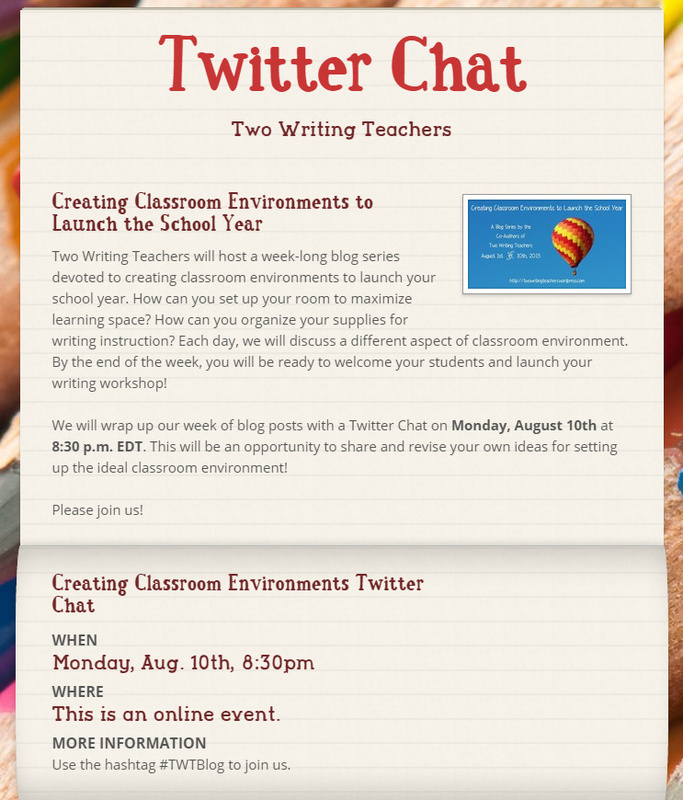 Making a space for writing workshop charts, reading workshop charts, math charts, etc. will be useful to students since they’ll know where to look for strategy charts. If you don’t have multiple bulletin boards for this purpose, you can color-code charts by ink color (i.e., green ink is reading, blue ink for math, black ink for writing). 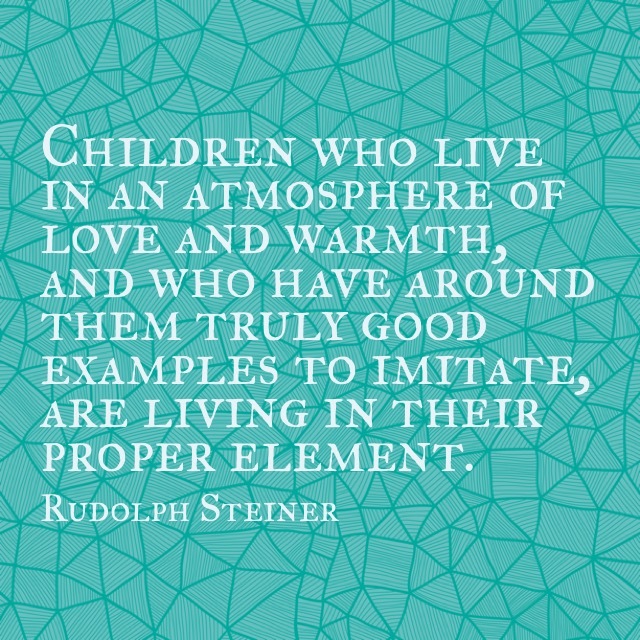 It is important to create and sustain a child-centered classroom. Beth recently told me about the 80/20 Rule many teachers follow. Here’s the gist: 80% of the things displayed in the classroom are student-created while 20% of the classroom is teacher-created. If you’re going to follow this rule this coming year, then that means no more than 20% of your classroom’s walls should be covered on the first day of school. Rethinking the Colorful Kindergarten Classroom by Jan Hoffman: http://nyti.ms/UoZRYN. I was thinking along these lines the past several years and will continue this year. You put it into words so well! What is really worthwhile and what is the best use of our limited time. Student ownership over the room is about community building. This is an affirming post, Stacey. I love design. But, I can get too sucked into it. Design with a purpose for a community of teaching each other through our work (students and teacher) should be the center of my work! This is so awesome! I often get compliments on my classroom environment. I stress, though, because I feel like I don’t do enough to share the awesomeness of my students. The 80/20 rule is a revolution! A light bulb went off in my head when Beth mentioned the 80/20 rule. It’s brilliant! I read a post similar to this in early May. I decided then and took a vow that I would not go into the decorating mode. I’ve decided to put up my fadeless paper to be the backdrop for student’s work and anchor charts. I’ve also committed to setting a place for my students to display their reading and writing goals. Ahh, as someone who dreads bulletin boards, this makes me so happy! OK, so let me ask the group a question…I’ve heard of teachers not organizing classroom library (for older students) and doing this WITH the students when they arrive. I can’t seem to go there, but I’d love to hear from those who have tried it. I, too, am deskless…just a small table/space for me. LOVE it!! Great ideas here! Thank you!! I did half of my library (my second year in fourth grade) and then let my students categorize the other half, name baskets, etc. I am wondering how this would work, time-wise, in middle school. This is such a liberating thing to read! As a Middle School teacher, I am always torn between the cute and the intellectual when it comes to decorating and the conflict usually leaves me paralyzed. I have always displayed student art work on my classroom walls and their other creations. I really love the idea of publishing work on the walls and giving students ownership of the room. I am planning to try going deskless this year and appreciate hearing your experience. I have all my daily plans organized in OneNote so I’m hoping the top of a small file cabinet in the corner will be enough space. This post totally validates my beliefs. When you feel confident about establishing a classroom environment with/for the kids, there is no need to hang meaningless decorations. I think so much of the uncertainty surrounding this topic has to do with perspective. Just like people “oohing” and “aahing” over Pinterest ideas, we want anyone who walks into our classrooms to be impressed, right? So…it can be really tough to start with a blank slate. Be patient, before you know it the room will be full of art, anchor charts, and tons of student thinking. We send children huge messages when we fill their space with their creations. Thanks for a wonderful post Stacey! I loved your “mini post” in response to my post. Thank you for sharing your experiences with us AND for sticking to your guns! 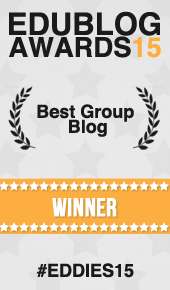 And thanks, Deb, for being one of my beta readers on this post! I really appreciate this post. Last year I worked to “neutralize” my room. I have a wall of pink cupboards and mismatched bookshelves. These things I can’t change. So – I covered all of my bulletin boards with brown craft paper. All of them are blank to begin the year. They then get filled with art and student work. My students are proud of their work and often comment that our classroom is both an art gallery and a library. One of my volunteers commented that she loves coming into the class in the fall and seeing blank boards and happily anticipating all of the art that will end up displayed. I do have what I call a wall of book wall paper – book jackets from favourite books and I also display book jackets and vocabulary words as we read nonfiction picture books. It is obvious that are room is full of creative thinkers, avid readers and talented artists and so in the beginning I love the idea of “blank canvas” walls. I agree with you about how we use our time – we often put up art when the children have play time in the afternoon and usually some students like to get involved in organizing the displays. It is fun to watch students stop what they are doing and give feedback and compliments. I haven’t heard that 80/20 guideline but I think it makes a lot of sense. Thanks for providing a forum for discussion and thoughts on this Stacey! Brown craft paper is a great idea. Thanks for sharing that, Carrie! As for book displays, I used to have clotheslines hanging across my classrooms where I’d display the front covers of every book (picture book, novel, or short story) so my kids could point to the books and reference them whenever needed. This was exactly the post I needed to read this morning as I started working on a new concept for a bulletin board in my 8th grade classroom. Over the last two years, this space was filled with samples of student work and I often noticed students spending time reading and reviewing the showcased work before the start of class. After reading your post, I’ve decided to stick with what worked so well in past. I will add a new title, but I will leave the space open and commit to displaying student work as it comes in. Thanks for the guidance! smart approach to classroom decorating…..I certainly feel validated, having never been one who makes her classroom cute, pretty, or theme-oriented! and the mention of students with attention deficits having trouble in an overly decorated room is absolutely right on target….thanks for this post! Agree, agree, & agree! I get so distracted by decorated classrooms. I don’t know how I could learn in one. I like to keep only the current anchor charts displayed along with student work & one or two poems. My walls are quite empty on day one. In our school, mostly to appease the Fire Marshall who doesn’t want paper on the walls, the bulletin boards are all painted. Great time & paper saver. What a great post about such a timely topic. Last year, I moved into a new classroom space that didn’t have any bulletin boards. I felt so free! I used the wall space much more functionally, primarily for anchor charts and student-create artwork. I hope to create more spaces for students to share their work this year. Thanks for sharing more food for thought! This is not only good philosophy, it is also practical, especially for someone like me who has two classrooms to decorate. I do keep art work from year to year and display that. Hanging art makes my room seem more like a home. Another interesting read with some food for thought. This one certainly applies to all subject areas. I say this every year to my colleagues who remark on what they consider to be an empty classroom, but I love when my students find out they get to help make it our classroom instead of mine. I plan to share this with my colleagues. Thank you for making it very clear and not the least bit disparaging. I find that often great ideas are clouded by the passion which sometimes makes teachers feel shamed by what they’ve done forever. You have explained it beautifully. I love this post and Kimberley’s comment as well. No shaming in Stacey’s post at all! I’ve been reading more and more about student-centered environments (Reading Learn Like a Pirate right now which is the ultimate guide for having students run the show!). I also just read a post about removing the teacher’s desk to make the classroom more student-focused (post by Nicholas Provenzano for Edutopia). I think the conversations are really valuable. We need to keep in mind, though, that most of us did not complete our own schooling in these type of environments and little in our professional training has prepared us for this type of teaching. Many of the things I read earlier in my career were in direct contrast to giving control over to the students. A post like this is a fantastic start- simply holding back from decorating it all before the students arrive is a great step towards collaborating more with the students and giving them ownership in the classroom. Some of this feels a little scary and uncertain- Throw out my desk??!! Let the students have the power to stop the class with a “Give me Five!” (idea discussed in Learn Like a Pirate by Paul Solarz)??!! This might be a more gradual process for those of us (ahem, me) who need more time to adjust to how this will work, but I do love the idea of students being more engaged, collaborating, being leaders, and it’s worth thinking and talking about. I ditched my desk by year two of teaching. It was freeing, but I eventually bought a small one by year four since I needed a place to keep my lesson plans, etc. Thanks for being my first comment on this post, Kim. I was petrified about putting this into the world. (As a result, a bunch of people read it since I wanted to be sure not to offend anyone.) It helps to know I’m not alone with my thinking.